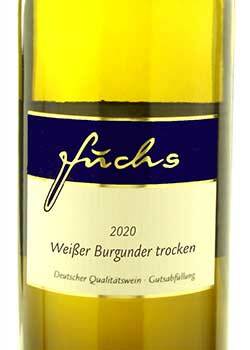 Fuchs Pinot Blanc is dry in taste, a good-structured wine having a fine, refreshing, but mild enough acidity. Its taste reminds of apricots and rockmelon. Pinot Planc is an allrounder to go with food.It goes especially well with seefood and fish, poultry, rice and pasta dishes, and vegetarian food.